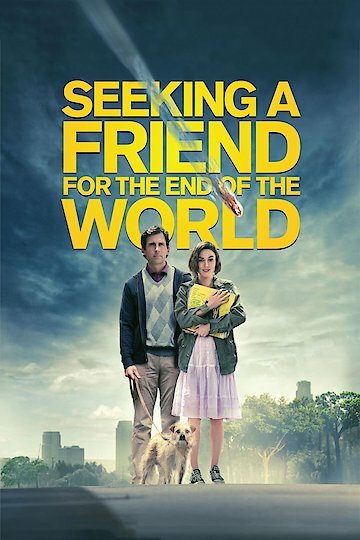 Seeking A Friend For The End of the World is a comedy that stars Steve Carrell and Keira Knightley. The film is set in Southern California and follows a man and a woman as they forge an unlikely friendship. An asteroid is headed towards earth, and only three weeks remain until it collides with the planet and destroys all life. Steve Carrell plays Dodge, a depressed man whose wife has left him. Dodge is feeling sorry for himself until one day he notices Penny, his neighbor, outside his window. Penny is crying, and Dodge lets her inside his apartment and tries to figure out what is wrong. Penny has received mail for Dodge that she forgets to give him. Looking through the mail, Dodge discovers a letter from Olivia, a woman whom he dated many years ago and whom he considers to be the love of his life. He decides that he will travel across the country to New Jersey in order to reunite with Olivia. Penny decides to abandon her boyfriend and go with Dodge. Penny and Dodge experience many adventures as they make their way across the country. They take drugs in a restaurant and are forced to hitchhike at some point. Over the trip, the couple begins to get feelings for each other, and they share a romantic kiss on the beach. They finally arrive in New Jersey, where they find Olivia’s home but are unable to find her. Next, the couple visits Frank, Dodge’s estranged father whom he has not spoken to in twenty-five years. Frank apologizes for abandoning Dodge and his mother and notes his approval of Penny. Dodge tries to get Penny to go home to England to see her family, but she refuses to leave him. The film ends with the couple curled up together as the world ends around them. Seeking a Friend for the End of the World is currently available to watch and stream, buy on demand at Vudu, Google Play, FandangoNow, iTunes, YouTube VOD online.